They're Not Just for Tourists! A while back I read a Facebook post by one of my travel writer friends. She announced that she was attending a travel show. Soon after, this same writer emailed me saying she’s "very excited and is preparing query letters to pitch stories about Cuba, Panama, and Costa Rica. 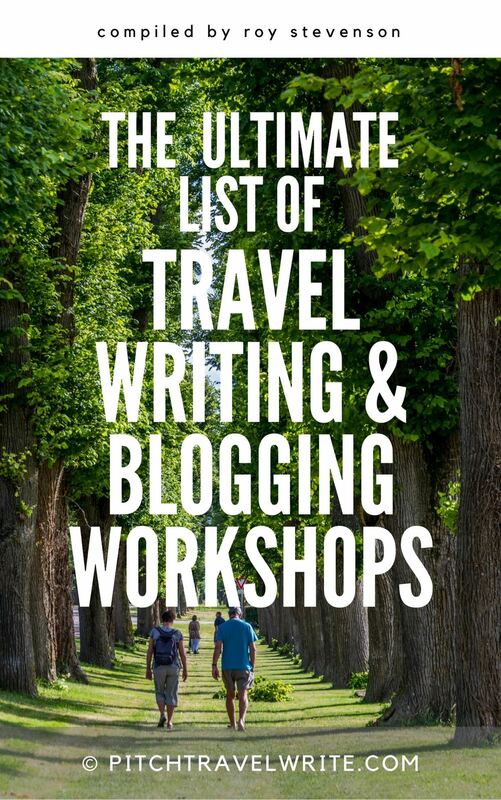 Her post was a reminder about how effective travel shows can be for travel writers. 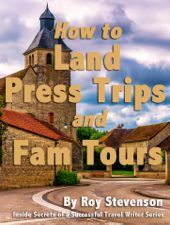 They're a great way to get your name on media lists for press trips and familiarization tours (aka FAM tours) - and to line up FAM tours in interesting cities and exotic countries. When destination marketing organization (DMO) invite you on a grand tour of their country or city, or put you up in luxury resorts and hotels, or wine and dine you at their finest restaurants they expect you to produce something in return. If my friend can round up some assignments about those countries— preferably multiple assignments—she will probably nail one or two of those trips. 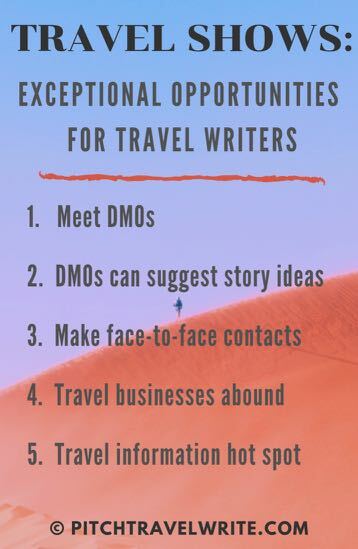 In fact, her chances of scoring a press trip to these places will be far better than a random travel writer because she met the DMO media/PR rep face-to-face at the travel show. 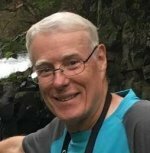 I’ve been attending travel shows since 2007, when I started writing. To me, they’ve always seemed like a natural thing for travel writers to do. Yet I’m always surprised at how few of my travel-writing peers attend them. Their rationalization is always something like, “They’re just for tourists”. I don’t agree. I’ve made great contacts at travel shows that have led to press trips and assignments at beautiful resorts and hotels. I can't even begin to count the number of trips I’ve scored by attending travel trade shows. Here's a travel show I attended in Seattle that included dinner. 1. There’s always a lot of energy at travel shows. Everyone is pumped up and enthusiastic! Who doesn’t get excited browsing at booths about Trinidad, Jamaica, France, Wales, Ireland, England, New Zealand, or Australia? The DMO reps staffing the travel destination booths are happy to answer your questions and tell you all about their main attractions and resorts—that’s their job. They’re happy to suggest an itinerary that takes in the best sights. 2. It’s a great place to do your research. When an enthusiastic travel writer shows up, with all sorts of questions about the destination, the DMO reps are even more excited. You offer the potential to help them market and advertise their destination. They’ll be thrilled to suggest marketable story ideas about what’s new in their countries or cities. It’s one stop shopping for travel writers. It just doesn’t get any better! 3. 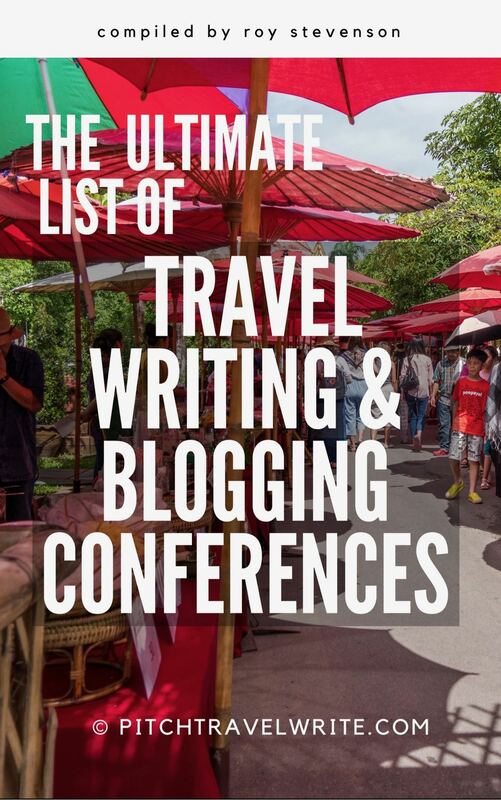 The other reason why travel shows help us round up press trips and Fam tours is that you make those all-important one-on-one, personal contacts. 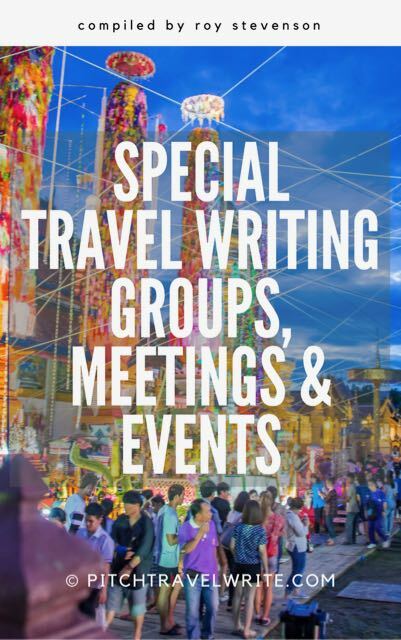 I cannot emphasize enough the importance of face-to-face meetings with tourism media reps (or magazine editors, for that matter, at other types of travel writing conferences). When you show enthusiasm and interest in their territory, they’ll remember you forever. I’m still working with tourism reps I met at travel shows 5 or 6 years ago. 4. They're packed with representatives from many travel-related businesses. 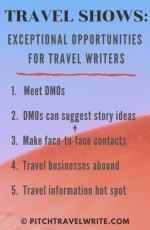 National DMO media reps are not the only people you should be networking with at travel shows. So far, I’ve only mentioned tourism and media reps for other countries and major cities. 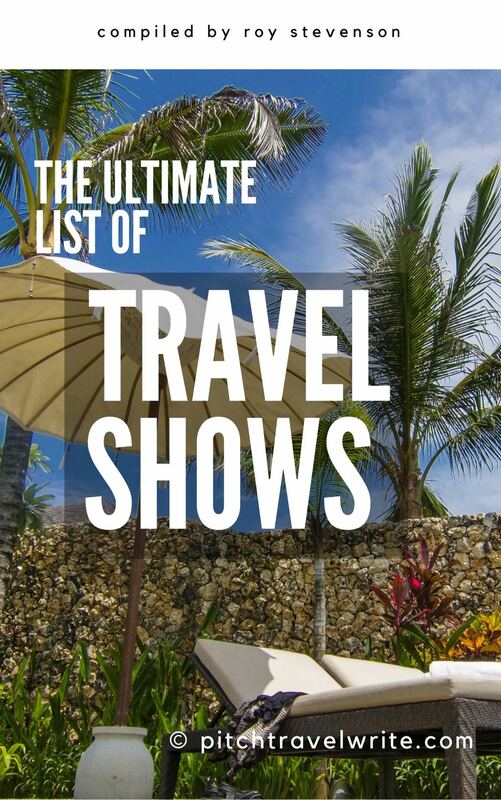 Travel trade shows are packed with reps for other types of travel-related businesses that you could be writing about: hotels, spas, resorts, bus tours, cruise lines, and all manner of individual tourist attractions from jungle zip line tours and museums to luxury travel and wine tasting tours, and everything in between. Should you approach these media reps too? Absolutely! They’re also looking for travel writers to stay at their resorts and spas, take their tours, and visit their tourist attractions. They too have marketing and advertising needs, and you can be a welcome part of that machine by providing them print or online stories about their attractions and tours. As long as you write about their attractions, they’ll offer you complimentary access to them. So don’t shy away from approaching individual tourist businesses. I’ve found these exhibit booths to be fertile ground and have scored wonderful stays at hotels, spas, and resorts, not to mention a plethora of tourist attractions. 1. Make Contact with the Tourism Rep.
Have a short “elevator pitch” to catch their attention. 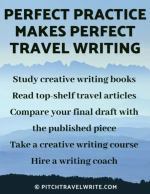 This simple 1-minute talk about your travel writing career, indicates that you write for a number of publications including X, Y, and Z.
I also give a one-page introduction letter with a brief summary of my travel writing career to the tourism reps. This “mini-resume” includes my writing outlets and my website URL’s. I know some of these “resumes” will end up in the hotel trash bin that night, but I also know that many of the tourism media PR’s will actually refer to them later. But, don’t think for a minute that the tourism media PR’s are going to automatically place you on the next press trip to their luxury resorts and finest attractions just because you’ve charmed them with your bubbly personality and impressive list of bylines. This will not happen. 2. Write a Follow Up Email. You need to follow up. A few days after the travel show send the tourism rep an email. Remind them about your meeting at the travel show and tell them you’re working on securing some assignments. This email should state that you are going to query your story ideas to a whole bunch of magazines. In other words, you’re going to get some assignments, (also known as “Letters of Assignment” or LOA's). Start pitching your story ideas to editors and keep pitching until you start to get some confirmed assignments (LOA’s). Unless your assignment is with a high-end glossy travel magazine, it’s best to pull together more than one assignment. Follow up again after you’ve rounded up a few assignments. Get back in touch with the media rep, tell them about your assignments, remind them where you met them (at the travel show) and politely request their help. I have heard some beginning travel writers boast about fabricating assignments to get on press trips. Please don’t do this. It is fraudulent and won't endear you to the DMO reps when they find out that you have been stringing them along. DMO’s spend a lot of time and money lining up press trips, so they take a dim view of so-called writers who lie about their assignments and never deliver. Likewise, tossing out a list of magazines or websites where you have been published, and hinting that you can get a LOA from them is also fraudulent. What if you can't keep that promise? You need to produce concrete evidence - a Letter of Assignment - showing that an editor has agreed to publish your article. A concrete assignment does not include a “spec” assignment. You can get yourself into a heap of trouble by passing a “spec” assignment off as a confirmed assignment. If the editor rejects the story afterwards, you are left without an assignment. The DMO is unhappy and you are embarrassed. 6. More About Asking for Assistance. On the brighter side, once you have produced confirmed assignments, you can request assistance with your trip. What assistance can you request? If your assignments are suitable and enticing enough, your newly befriended media rep will help arrange your itinerary, accommodation, transport, meals, and complimentary entry into the tourist attractions you need to visit for your assignments. Assistance will vary depending on the media rep’s resources and budget, and the power of your assignments. As a general guideline, if your print assignment is with a high circulation magazine (usually more than 100,000 readers) or with a travel website that receives more than 100,000 visitors/month, they’ll probably put you on their “A” list. “A-Listers” generally get everything thrown in: airfare, hotels, resorts, meals, and attractions—the works. “B-Listers” with lower volume magazines or website assignments might get some of these perks, but may not get everything covered. What they can offer depends upon the DMOs budget, their criteria for extending perks and other factors. They'll decide what perks they are able to extend to you once they have details about your assignments, what you need to see and do, and how long you need to stay.